BBC - interrupting an interruption - why? Yesterday evening my partner and I were watching the Euro-2008 semi-final between Germany and Turkey. A very thrilling match! During the second half the picture froze, a thunder and lighting storm had knocked out the broadcast relay centre in Vienna. Within a few seconds a test-screen appeared on our TV with the text: "we've lost the connection with Vienna and we're trying to rectify the fault asap". And at the same time BBC had switched the sound to the live Radio Five broadcast - well done BBC. You have to admire those radio-commentators, thanks to their detailed and at times very lively description of what was going on on the field we still 'saw' the game with our minds eye. the live radio broadcast was interrupted by a TV-announcer: we've lost the connection with Vienna, but we're trying to get things back in order as soon as possible. We're sorry for the interruption of the broadcast - or something like that. Why state the obvious?!? Now we almost missed a goal being scored! We knew we'd lost the picture - it said so on the screen! - but the radio commentators were doing a great job of keeping us up to date, they even knew they were 'on TV' too. This happened not once, but twice! 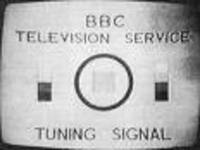 Apparently the first repair didn't hold longer than 10 minutes, but again when the broadcast was interrupted the second time, radio Five took over within seconds. "There is nothing so useless as doing efficiently that which should not be done at all". Internet is a funny thing. If you use it correctly it can bring you a huge amount of knowledge, profits, new clients etc. But as with everything: whatever you learn, implement it. Then test it and check the results. Test it again and check the results. You can think it works correctly, bringing in those prospects and new clients you're aiming for - but if you don't test and check if it really works it's a waste of time and effort. And nothing will happen! Well, not completely true. You have to off-chance a blog post will be written about it - like this one is going to be. Yesterday I received the free E-booklet: "The 7 biggest Web money making secrets" from Ed Rivis. Ed knows what he's talking about, any ideas from his hand are looking into I've discovered (and benefited from). So when Ed listed a link in his report to an online software program that can make headline testing simpler I looked into it. Main reason: to find out how much knowledge of html coding is required with this program (I have some, don't know everything though). The landing page of the company showed a few things: testimonials, a pop-over to announce a 35% discount this month on the program and a link to online demos. Now that's what I like: trying out before you buy - a good practice. Trial one showed the results of how the headline split testing will look on your site and how your visitors will see it. Trial two gives you the opportunity to set up a test etc - "We have setup a live demo of SplitAnalyzer so you can see for yourself just how powerful and easy to use it really is." - just what I was looking for. The password to enter the demo site was given too. Clicked on the trial link and typed in the password. Typed it in again, a typing error is easily made. Tried it in another browser, again same result, no result at all. Pity: no trial - no sale. Test and check, test and check. And again. I wonder if many visitors take them up on their 35% discount offer. Not to everyone though, only to his blog readers. Subscribe to his blog today or before 12pm tomorrow and receive his newest report for free. Ed has the habit of given away loads of things on a regular base, besides of course all the tips and advice he puts into his blog posts. I've become a huge fan of Ed Rivis, read his book three times and still find new ideas for our own website I can use. Not to mention how all his other products can help you grow your online business. My latest dynamic website (aka blog) focuses mostly on (online) software programs to assist, help, enhance, simplify your marketing messages. 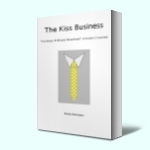 My latest post on the Kiss business too (2) redirected you over there if you wanted to read the whole post. I won't do that again but just kindly tell you I've just published a new post on the 1plus1makes3 dynamic website about how to use AWeber to your advantage in a very simple way. So if you're interested, and I hope you are, I'll see you there. I've just counted the number of suppliers we have: 44 - and we're only a small two-wo/man-band. How many do you have and how many of them keep in regular contact with you, not meaning the times they send you a new invoice of course! Don't get me wrong here: it is not my target, heavens no. It's the target Paul Gorman and Ed Rivis have set themselves beginning last month. In my post of 4 May: Passionate about Givers-Gain I mentioned their joined project: The Copy-Writers-Gang - Paul's secrets on superb and profitable copy-writing. Instead of charging the full £ 2.500 it is worth they are giving it away for FREE. For every business owner/marketing manager to use freely, to implement and to profit from. Because there still isn't such a thing as a free lunch - you have to do the ultimate work yourself - Paul is 'only!' teaching you - from his own 27 years of experience - how to do it better than your competitors. Their goal is to have this program (16 hours of interviews) subscribed to free, studied and applied by one million business owners in the next 12 months. And you would be a fool not to take them up on this magnificent offer. Your journey starts here: "Ed Rivis Gets a Severe Verbal Kicking" (copywriting beat-um up). Listen and learn and don't forget to subscribe straight-away for the rest of the journey.